Magda Giannikou is a Greek-born composer who’s had a unique group of collaborators already in her young career: Snarky Puppy, Kronos Quartet and Louis CK. Banda Magda is her “world chanson” project – backed by a multi-talented multinational combo, she writes and performs sophisticated songs in six different languages with overtones of jazz, French pop, bossa nova and other South American styles. This is their third album, and they’re getting more confident and vivid with each outing. They’re a terrifically theatrical live act, and that’s coming through more on this album. 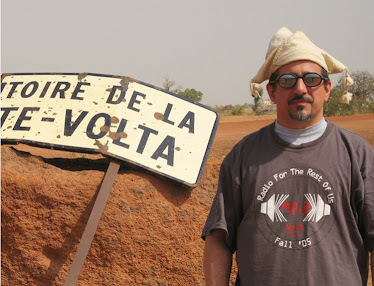 Track 10, the album’s title track, is a centerpiece of the live show – it’s soundtrack music (Giannikou has active film-scoring and arranging practices) without a film. 8 is lovely, like chanson filtered through West African music, ready for a Rokia Traore cover. And their versions are cleverly chosen: 6, a Brazilian forro standard, is re-conceived for a nine-piece string section; 4 is transformed from rembetika (Greece’s answer to the blues) into a dramatic show-stopper. 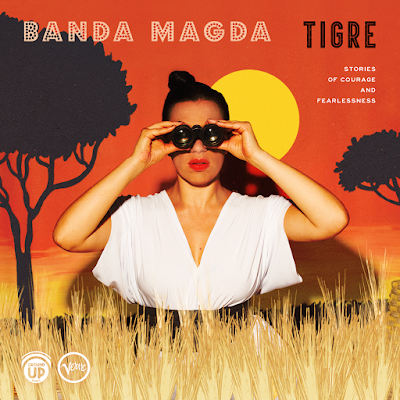 Banda Magda takes risks and not every punch hits its mark. But when they land their blow, you’re KO’d.